Healthy eyelashes, seemingly insignificant parts of our features at first glance, are normally short durable hairs that grow on the edges of both upper and lower lids. 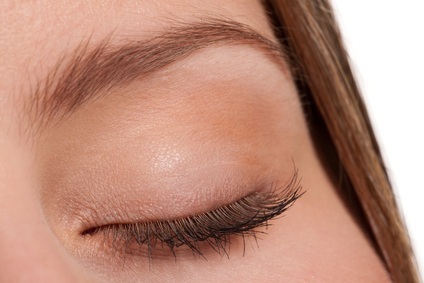 Eyelashes are there to keep your eyeballs healthy by protecting them from dangerous, foreign substances and causing you to blink when necessary. Not only that, but if you are also taking care of the skin around your eye area, long luxurious lashes can transform a pretty pair of eyes into stunning peepers. Why Doesn't Everyone Have Beautiful Lashes? Thin, unhealthy lashes are often caused by allergies, often as a result of contact lenses or eye makeup—yet another good reason to choose safe, natural cosmetics. Other common causes of short, thin or sparse lashes include medications, environmental toxins, hypothyroidism, nutritional deficiencies and rough handling by such tools as eyelash curlers. The FDA approved in 2008 a prescription lash treatment by the name of Latisse, whose active ingredient is a substance called ‘bimatoprost.’ Women who’d been searching for years to end their eyelash dilemmas scrambled for what they hoped was the final solution. Latisse was developed after its corporate creator noticed increased eyelash growth as a side effect of an eye drop they were marketing to fight glaucoma. Lash treatment drugs containing bimatoprost are aimed at increasing the duration of the lash growth cycle and the number of hairs formed during that cycle. But no one knows exactly how or why the stuff works. Not knowing how things work seems rarely to concern manufacturers or the FDA, thus—voila!—Latisse received approval for human use. Whatever the success in lash growth, a large percentage of customers are now starting to report that the significant side effects aren’t worth the high price. Some commonly reported side effects are excessive and unruly lash growth (too much of a good thing) … bloodshot eyes … and blotchy eyelids. There are even reports of no growth at all, and debates raging on internet forums. Quite a stir! Recently, however, the FDA has changed its tune. They’ve issued a warning to Allergan, Latisse’s manufacturer, deeming their advertisements misleading because they minimized information regarding the fact that bimatoprost can also cause hair to grow elsewhere than the lashes and may cause corneal inflammation. One thing’s for sure: If people have weak, sparse or problem lashes, it isn’t due to a deficiency of Latisse! You know already one thing I’m going to say, from a natural perspective: Your internal health is foundational to proper lash growth and function. 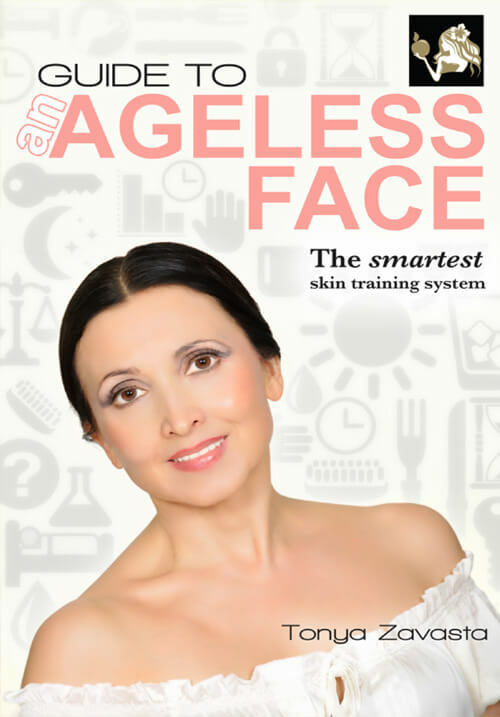 Eat well, truly well, eat raw … exercise … and your lashes, like every part of you, will derive the benefits. But my message here is more specific—I’m about to share with you my most treasured lash treatment … In my ebook 100 Days to 100% Raw, I introduced readers to the practice of applying pure castor oil to your eyelashes each night before bed. This leads to lustrous, strong, healthy lashes. No side effects whatsoever! Pure, plant based, non-toxic and best of all, effective. Now, this is a natural lifestyle practice, not a wonder drug, so judge results accordingly—you’ll need to adopt other healthy practices as well. Since discovering the popularity of questionable, unnatural lash treatment drugs, I am all the more eager for readers and health seekers to experience the benefits of nightly castor oil lash treatment. 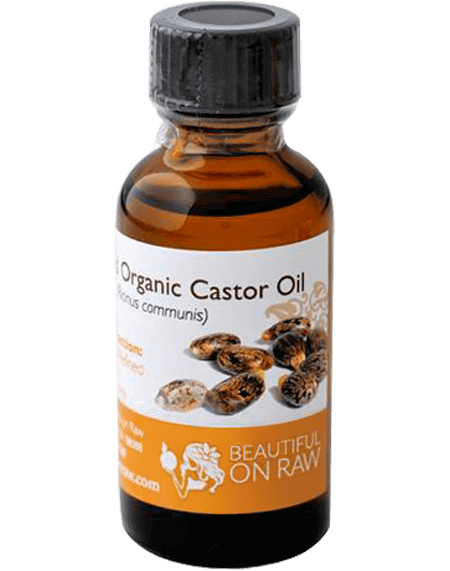 I am giving away a FREE one-ounce bottle of our certified organic castor oil with the purchase of two jars of my new night cream! Buy two jars and receive a free bottle!